Always store precut fruits and vegetables in the refrigerator, too. Wash your hands for 20 seconds with soap and warm water before and after handling fresh produce. Use a sharp paring knife to cut away any damaged or bruised areas of the fruit or vegetable.... The storage life of fresh fruit and vegetables varies with type, variety and pre-harvest conditions. There is scope to control storage life through postharvest management of the two most important determinants of storage life and quality — respiration and transpiration. 4/01/2019 · Cut and wash your fruit. Rinse off all the fruit except bananas and chop them into bite-size pieces. Place the cut, washed and dried fruit into a bowl.... Sprinkle this mixture over the cut fruit. An acceptable substitute: Slice the fruit and dip the slices in an acidulated water bath -- about one quart water plus a tablespoon of lemon juice -- before drying and freezing. Use storage containers with tight-fitting lids, plastic bags or plastic wrap to store partially used or cut vegetables. Avoid using aluminum foil, as this can change the taste of the fruits and vegetables it comes in contact with. This is especially true for acidic foods like citrus.... 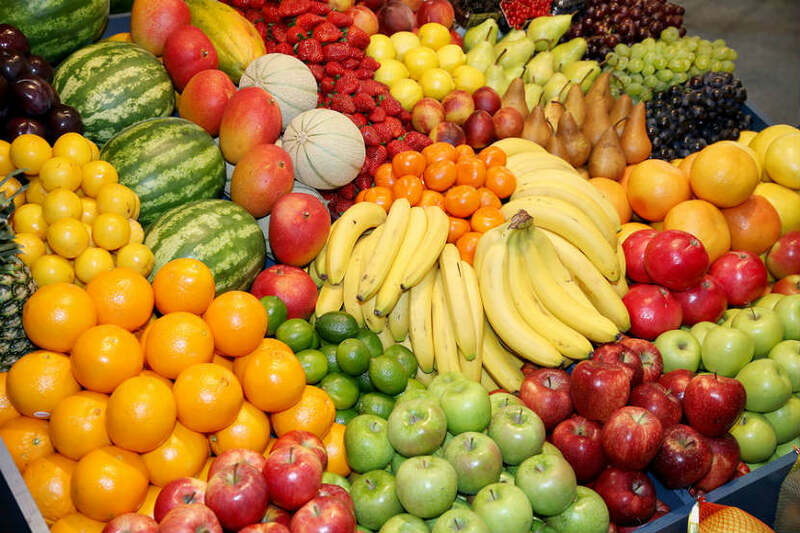 Always store precut fruits and vegetables in the refrigerator, too. Wash your hands for 20 seconds with soap and warm water before and after handling fresh produce. Use a sharp paring knife to cut away any damaged or bruised areas of the fruit or vegetable. Sprinkle this mixture over the cut fruit. An acceptable substitute: Slice the fruit and dip the slices in an acidulated water bath -- about one quart water plus a tablespoon of lemon juice -- before drying and freezing. But before you can vacuum seal the cut fruits and veggies, drain the water from them by wrapping in blotting paper. Soon after, vacuum seal the vegetables in separate batches. Here, it’s advisable to store similar veggies in a pack e.g.